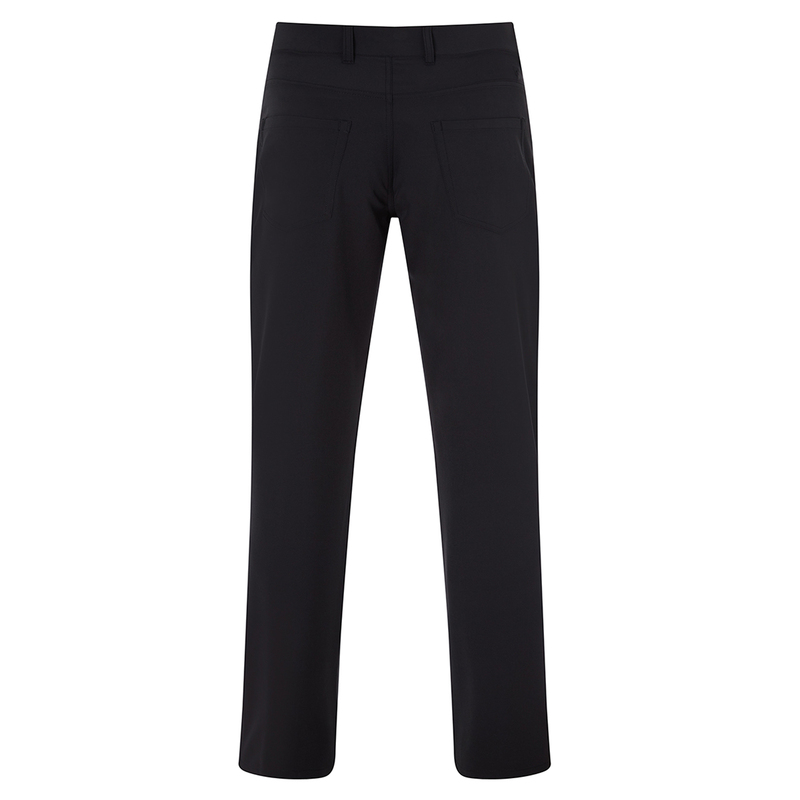 Look smart as you play your round of golf with these high performance stretch trousers. The technical trousers feature a 4-way stretch (Opti-Stretch) to give the wearer increased mobility in all directions, which is perfect during any athletic movements associated with the golf swing. The trousers also feature a moisture control system (Opti-Dri) which removes any access moisture away from the skin surface for rapid evaporation, plus has Opti-Shield which provides a protective barrier against any harmful sun rays. The design features 5 pockets in total for more convenience, plus has an embroidered Chevron above the wearer’s right pocket.